Contemplate, if you will, the picture above. It’s most likely a familiar sight, have you ever caught a glimpse of a nature documentary on the telly: the African savanna. Zebra, wildebeest and buffalo graze away in the hot sun, and we sense the presence of lions, poised to attack them at any time. Imagine then, if such is your pleasure, the same scene with just one component missing: grass. Without the tiny green leaves of the plants from the Poaceae family, there would be no savanna but rather a thick forest of thorny acacia trees or perhaps a hot and arid desert. No giant herds of zebra and wildebeest. No lions to stalk them. It might seem like grasses have always been around, that they’re somehow a very ancient group of plants, but in fact they’re quite a recent* addition to the planet’s collection of biomes. Even though the earliest species of grass appeared some 60 million years go – just before the end of the era of non-avian dinosaurs – they were just a scarce and limited selection of plants growing near rivers and lakes. 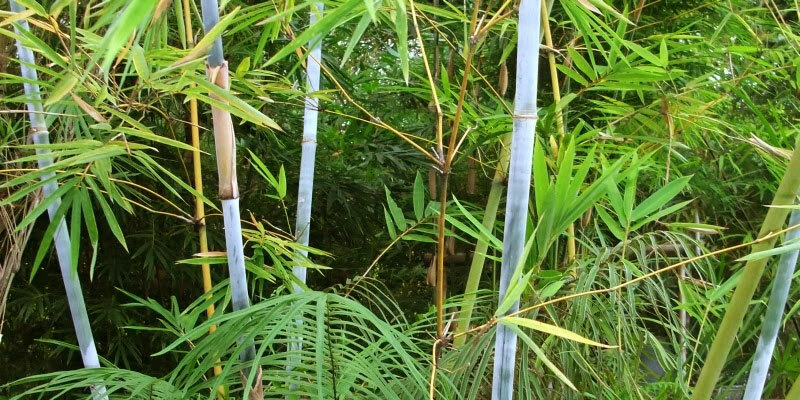 The ancient bamboo, grass of the dinosaurs. In those pre-grass days, the world was a different place, covered by thick forests and deserts. No open plains full of grazing animals, no evolutionary race between swift herbivores and even swifter predators. It was at once a slower world, with most animals walking leisurely about and a more violent one with ambush predators lying in wait in the lush undergrowth. And this was the state of the world for hundreds of millions of years. From the ancient fern forests of the late Devonian 360 million years ago, through the swampy oxygen-rich forests of the Carboniferous, the vast deserts of the Permian and Triassic, the lush conifer forests of the Jurassic to the first flowering plants of late Cretaceous, forests gave way to deserts and desert in turn were overgrown by forests. Not until the end of the Oligocene, some 20-25 million years ago, did grasses start to spread to more arid plains and form the steppes, savannas and prairies we see today. And it took another 15 million years before the modern C4 grasses like maize, millet and sugarcane started to make an appearance. 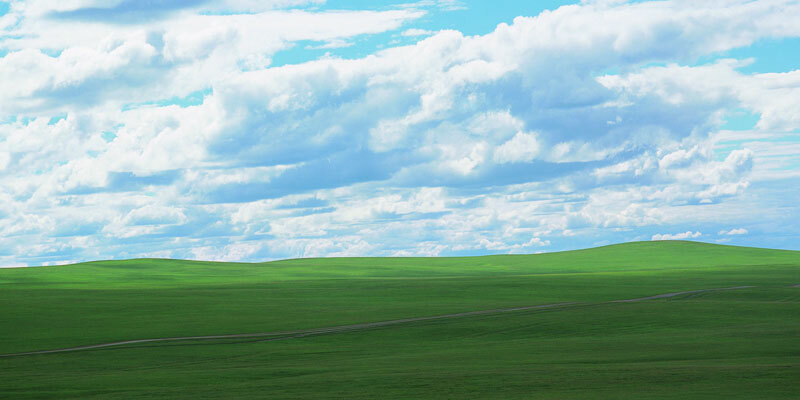 The familiar – albeit relatively modern – look of a typical North American prairie. This might all be fascinating on a theoretical level, but there’s more to the story of grasses than a study in biome evolution. 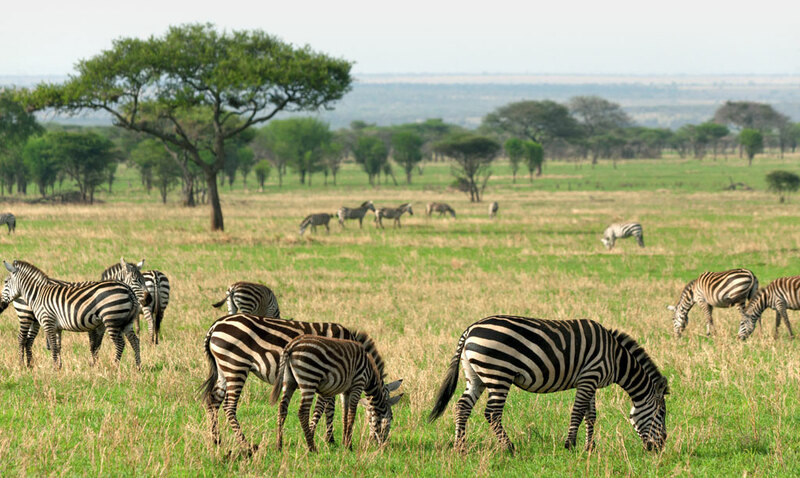 The spread of grasses and the formation of wide and open grasslands changed the adaptive path for many animals, from antelopes and horses to carnivores and birds. But there was another group of animals that was also affected, a small insignificant family of primates suddenly finding themselves exposed in the open: hominids. 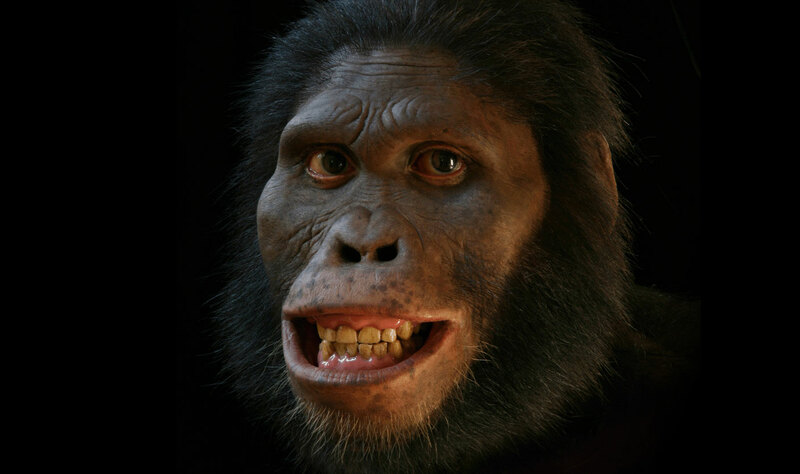 She might look happy but life wasn’t easy for the poor australopithecines. Our ancestors got it rough. Not only were they small and defenceless, they lost their natural habitat and had to make do in a very competitive landscape, filled with powerful and dangerous herbivores like buffalo, rhinoceros and elephants and hunted by fast and furious predators like lions, leopards and hyenas. This, in combination with the constantly changing climate, forced us to develop tools and weapons and get us to rise up on our hind legs and become bipedal. But as harsh as it was, the new grasslands also promised something new: a huge hunting ground full of game and lots of grass seeds and roots to eat. And as the savanna expanded north and met the Mediterranean Sea, so did our human ancestors, spreading on to the Middle East and then east into Asia and north into Europe. The story doesn’t end there either, though. Not only has grasses changed the face of the Earth and facilitated the evolution of our own species, they have also been instrumental in taking us from a few thinly spread hunter-gatherer tribes to being the most widespread mammal in the world, sporting the most advanced societies the planet has ever seen. Some 10,000-15,000 years ago, just at the end of the last glacial period, we were getting a bit crowded. There were tribes of humans all over Europe, Middle-east, Asia and Africa and we were running out of places to gather food. Something had to be done. 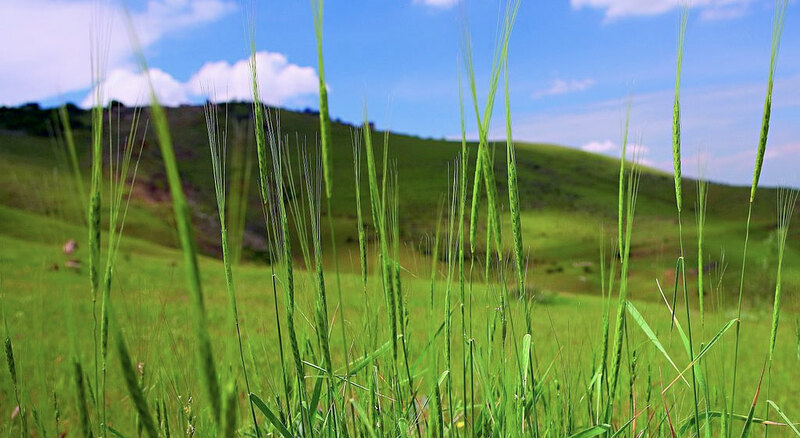 The wild wheat grass our ancestors cultivated. Cue the agricultural revolution. Instead of walking miles and miles to find the herbs, roots and seeds we needed to stay alive, we started growing them around where we lived. And the main thing we grew was different types of grasses: wheat, rye, barley, millet, rice, and maize. It wasn’t a revolution without casualties however. Rather than providing us with a reliable source of food, the first cultivated grasses were prone to bad harvests which made sure that starvation and malnutrition became a regular occurrence in human societies. In fact, it got so bad that the average life expectancy was dramatically lowered and the people who survived to adulthood grew up to be significantly shorter and weaker than our hunter-gatherer ancestors. Essentially, agriculture was making us frail and sickly. But we persevered – most likely because there was no real alternative; we’d effectively run out of space and had to make our own food from now on – and fast-forwarding a few thousand years to present day we’re much more accomplished farmers. We now rely on a range of grass seeds for our daily food and as a result they make up the absolute majority of what we consume; be it in the form of noodles, rice, porridge, bread or pasta. As chance would have it, we turned out the only grass-eating ape** on the planet and a very successful one at that. Grasses surely are our green little friends. * As always, ‘recent’ is a relative term, and in context of speciation and evolution usually refer to some million years but fewer than a hundred million. ** We might be the only grass-eating ape, but there is another primate that’s also a graminivore: the Gelada, an East African highland baboon. They eat their grasses raw, however. As we cook our grass seeds, we get more nutrition out of them and are hence better than them and can feel appropriately smug and superior. Why thank you! Yes, do please feel smug and superior – we’ve surely earned it with our breakfast cereal. Wonderful writing! You’ve managed to communicate so much natural history, biology and evolution in a short and engaging piece. I tip my hat to you! Thank you! I’m glad you liked it. Sometimes I fear my writing is too theoretical for anyone to enjoy and sometimes I worry it’s too simplistic to be interesting. So your feedback is most appreciated, believe me. Your writing, as I always tell you, is the perfect kind of sciency – just highbrow enough to make you think, and just lowbrow enough that those of us without your superior scienciness can understand and appreciate it. It’s a fine line to walk, and I don’t think people understand how tough that is. So, thanks. As always, wonderful post. I sometimes think about our ancestors and am super-proud of them, you know? It makes me smile, thinking of them being all creative problem-solvey. I don’t really consider myself highbrow, more populistic if anything. Although rooted in science, of course. But I’m very glad that it’s so well received by you all. Thank you. Thank you for raisinig our grass awareness. Some day I might look into the part played by the onion family. Cooking would be awfully dull without them, wouldn’t it? It might be what originally lured our ancestors down from the trees.